You can fix your Windows 10 Calculator missing. Bring back your Calculator on the computer. I will share two different methods to fix all error related to Calculator. Users can even download calculator for Windows 10 laptop. You can install it and access your calculator on Windows 10. In Windows operating system, a calculator comes as a pre-installed utility tool in it. Every Windows operating system is having it. 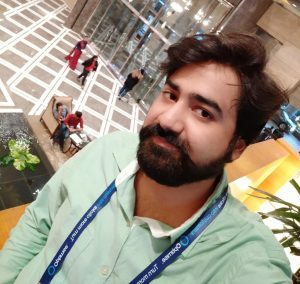 Talking about the Windows 10 operating system, it is the best and a complete package of an operating system which we are using in our daily life right now. But, what if you one day you found that your Windows 10 calculator is missing? The calculator missing from Windows 10 OS is like an impossible thing. To sort out the Windows 10 calculator missing problem from your Windows PC or laptop. I have listed two best methods that are going to help. However, I would like to tell you that facing Windows 10 calculator missing issue is not a big problem. Even you can fix it very quickly without any requirements or any hardware repair. You don’t have to go to the service centre to fix it by paying money for that. Have a look at both the methods which I have listed in this section of the article. Read more: Phone Score Calculator – Is your Smartphone Worth Buying? Resetting a particular thing that didn’t work for you is the best solution to fix it. 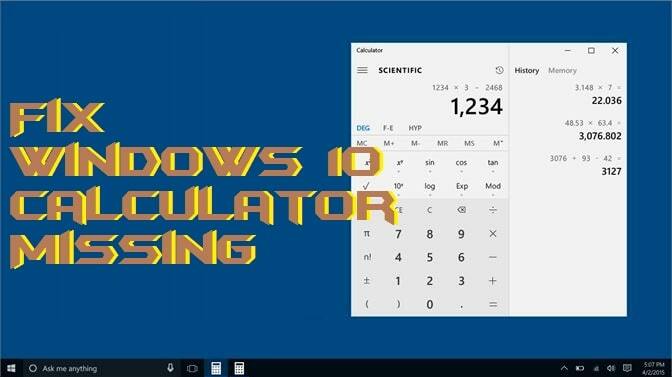 There is a quick guide that is going to help you in fixing Windows 10 calculator missing problem from your Windows 10 PC/laptop. Without wasting your time, I would like to start the method by which you can fix Windows 10 calculator missing issue within a minute. Go to the Setting on your Windows 10 PC/laptop. Now, go to System then click Apps & features option. Search for the Calculator app in the list and click Advanced options. You will find a Reset button, click on it. Click the confirmation box with a Reset button to reset it. If the resetting option didn’t work for you and you are still having the Windows 10 calculator missing issue. Then, you can easily re-install Windows 10 calculator which was missing. Microsoft takes cares of its customers very well. That is why they have the calculator app on the Microsoft Store for free of cost. Such that you can directly obviously officially download Windows 10 calculator from there. The official link to download Windows 10 calculator from Microsoft Store is given down below. There are tons of simple calculators available on the internet which you can download to use for calculations. Many simple calculators are available to download for free of cost. Moreover, they provide much more features as compared to the Windows Calculator such as trigonometric sums, wight calculations, architecture maths solving ability and more. I have already posted a handy article where you can find top 10 best calculators for Windows 10 Pc/laptop. Have you succeeded in fixing the Windows 10 calculator missing problem form your Windows 10 PC/laptop? If yes then it’s mah pleasure to help you. But, if no then don’t worry there are more calculators available on the market which I have told you in the above section. Get any one of them and start using maths calculation over there. Make sure that you share this article with the person who is also having the Windows 10 calculator missing problem.